Lipases are proteins that break apart lipids. A transcriptome analysis identified candidate lipase genes, and proteomics databases were able to narrow down the search by predicting which genes were localized in chloroplasts. 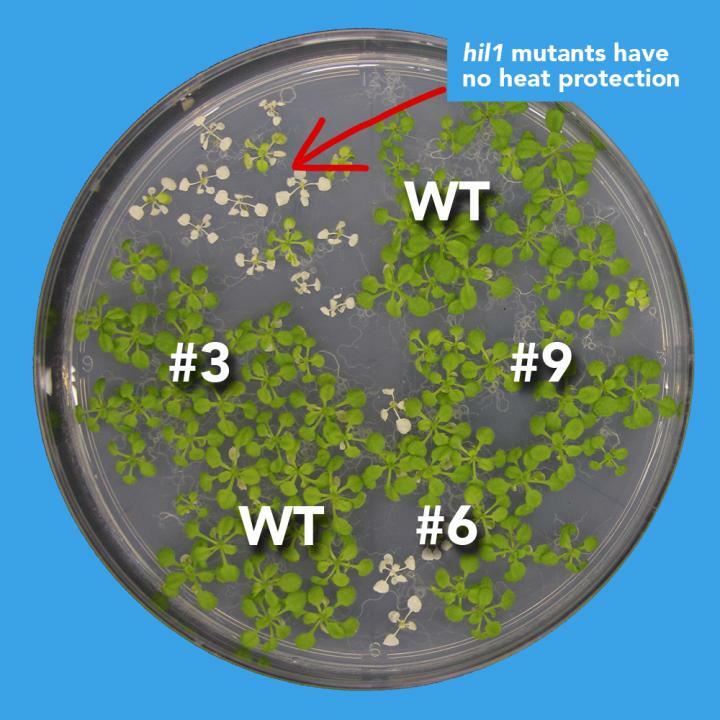 To test the most likely candidate gene–which they subsequently named Heat Inducible Lipase 1 (HIL1)–they created a hil1 mutant Arabidopsis plant in which the gene was disrupted, and compared mutant responses to heat stress with those of normal plants. Team leader Kazuki Saito is also looking at the big picture. "This natural response to heat is not new, but understanding how it works is a step forward in fighting global warming," he says. "Our study certainly contributes to the Sustainable Development Goals (STGs) set by the UN in 2015, in particular, goals 2 and 13–Climate Action and Zero Hunger." Higashi et al. (2018) HEAT INDUCIBLE LIPASE1 remodels chloroplastic monogalactosyldiacylglycerol by liberating α-linolenic acid in Arabidopsis leaves under heat stress. Plant Cell. doi: 10.1105/tpc.18.00347.